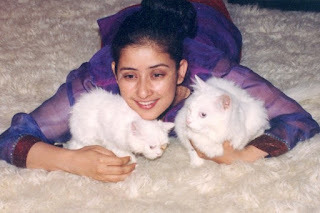 Manisha Koirala,who is from Nepal and is an actress of Bollywood is holding her two pet with her two hands.The cats are white in colour and is having white hair.The cats are very cute and lovable. Koyna Mitra who is a model in India and also an actress in Bollywood movies,is holding a cute little dog . Koyna Mitra with her pets.There are all her pets.Do not have any idea how she manages to all these pets.May be she has got some person to take care of these pets. Shreyas Talpade with his cute dog! Shreyas Talpade is holding his small brownish white doggy with his hand.He is so much busy with his work and he has also got someone to take care of his pet. Fardin Khan with his browny dog! 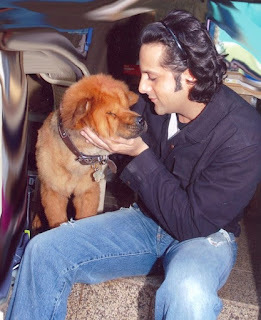 Fardin Khan,who is a funky actor in Bollywood,he should have one macho type dog.But the dog which is in the screen does not seem that much macho type.May be he has got some different choice while selecting the dog. Beyonce The Worlds Smallest Dog! Naughty Dogs Chewing All Your Household ! New Born Dog ...A Sudden Light of Life ! Your Dog Watches on You ! Dog Punishing the Criminals ! Funniest Pictures of Cats and Dogs !! Good Dog Video That Do Everything For His Owner! Tips to Pet Photography ! How to Choose a Dog Collar ! Tips to Buy Dogs Bed ! How to Select a Dress for the Dog ! 10 Tips to Take Care of a Dog !